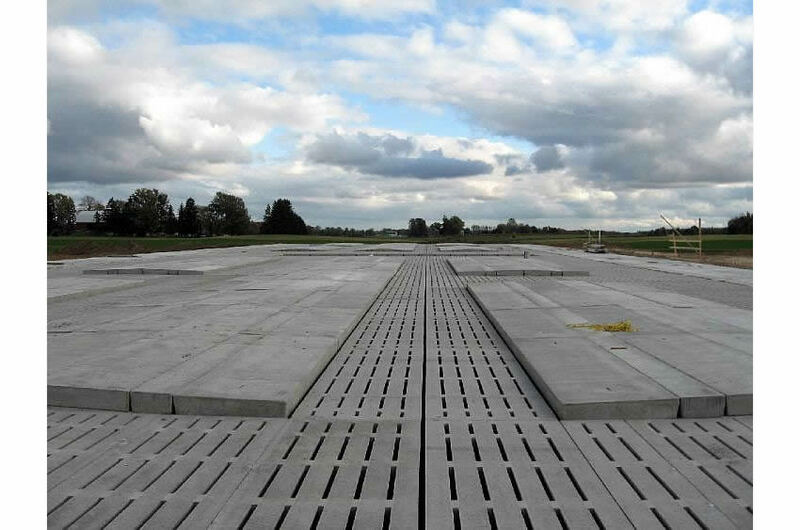 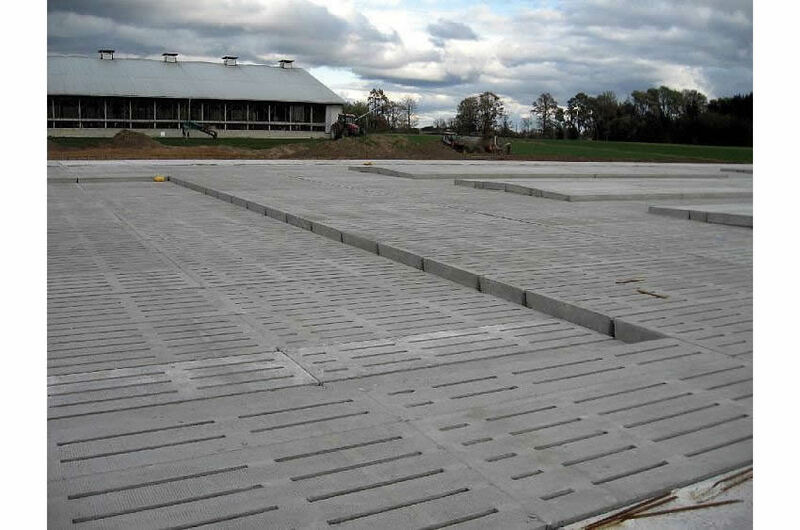 Stubbe’s Precast Dairy Slats provide a clean and dry flooring system in dairy barns with manure stored below ground until it is needed on fields. 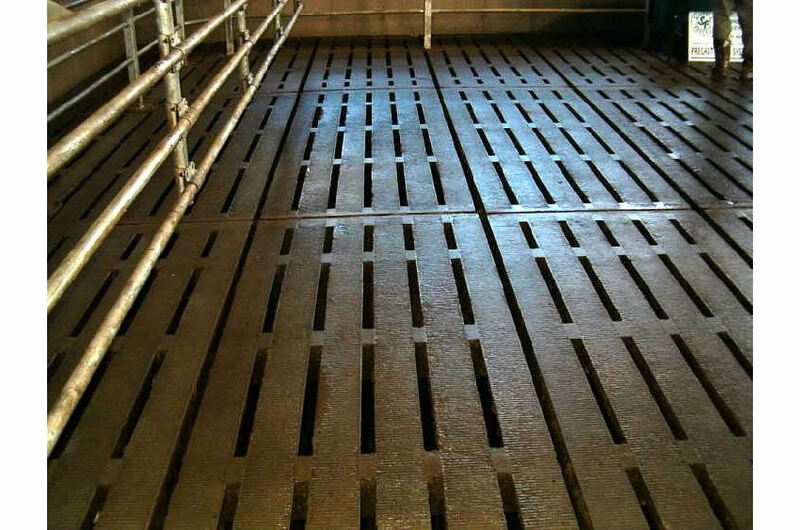 The systems gives the benefits of a scraped floor without the high cost of labour and maintenance of traditional systems. 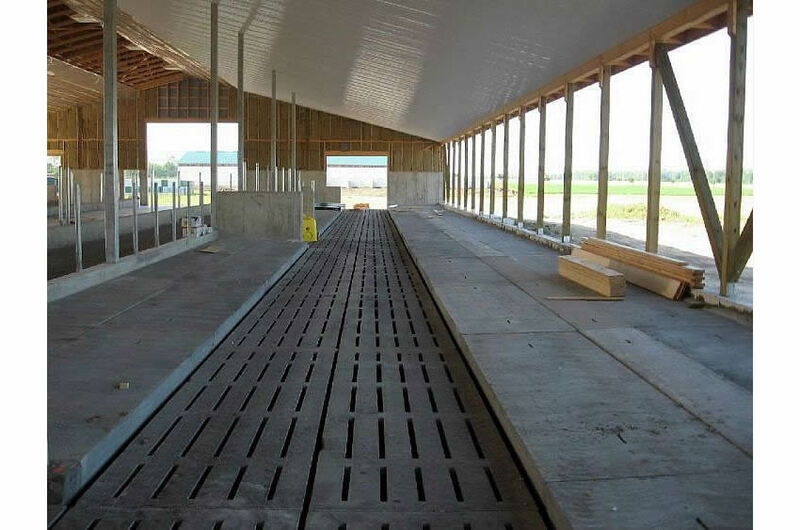 It allows the cows to move and eat freely throughout the barn without being disturbed or coated by the passing scraper. 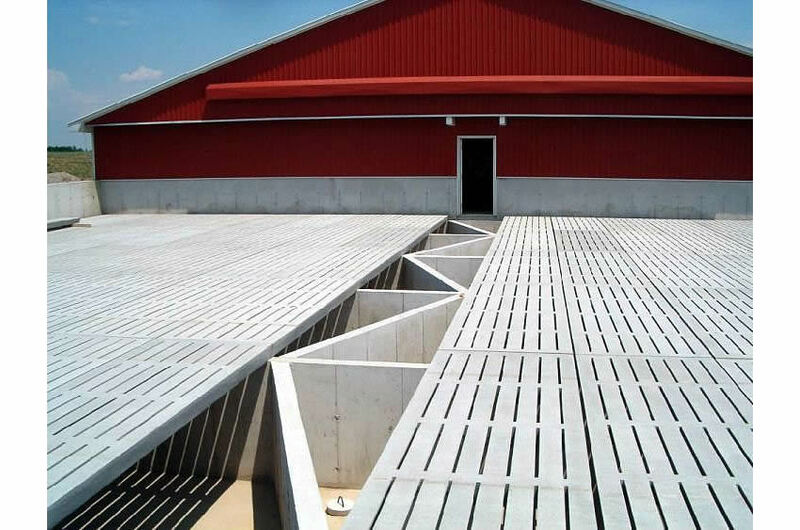 Dairy slats have a higher percentage of opening which allows the manure to be worked through the slat with less movement. 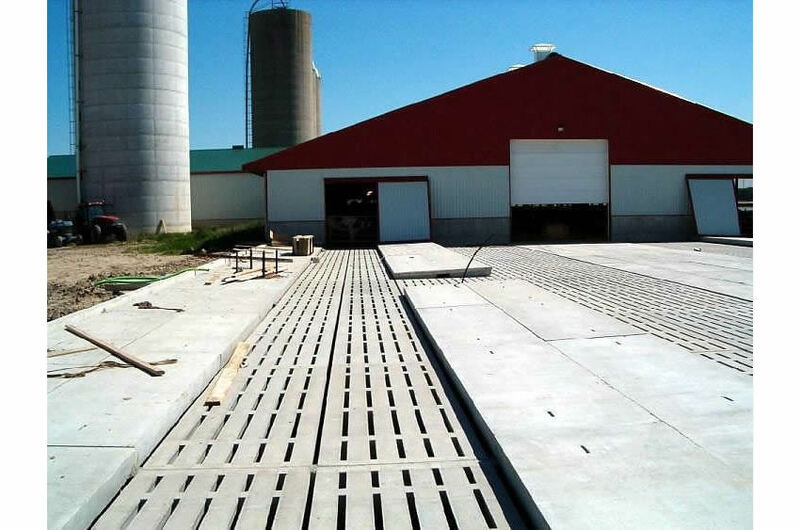 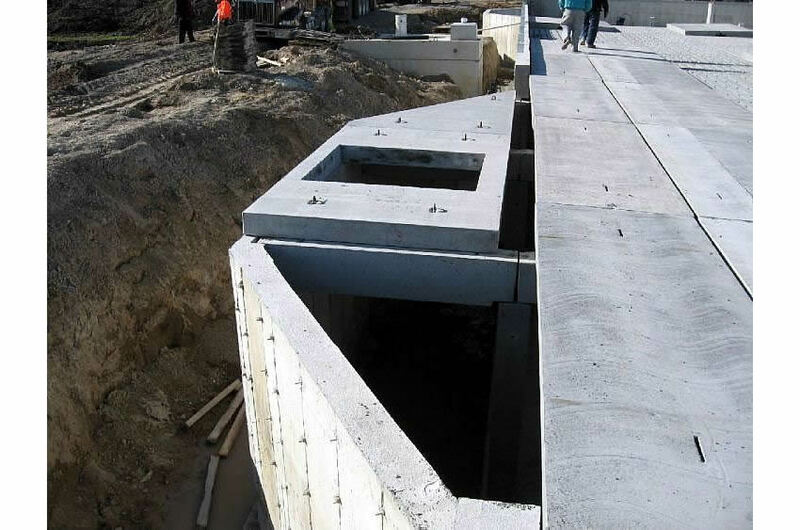 All Stubbe’s Precast Dairy Slats are made with our unique cast in tread finish which allows for superior traction without causing injury to the hooves of the animal. 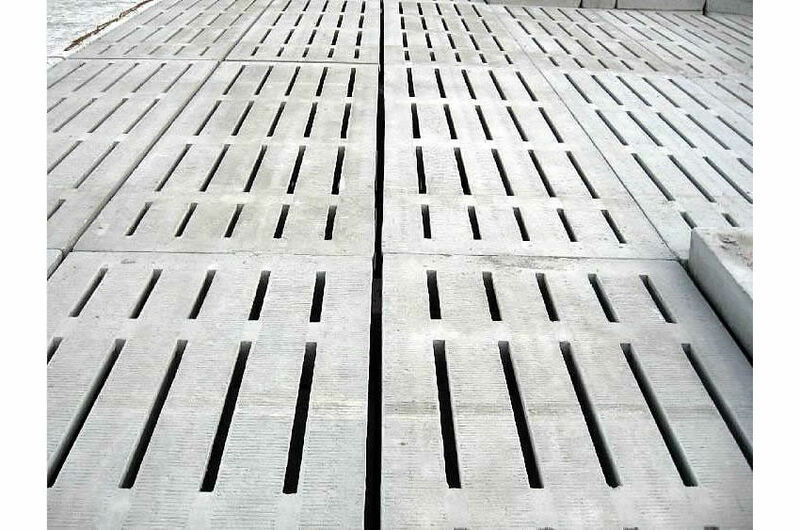 Any width or length available up to 4' x 13'-0"
Slat weighs 62 lbs/sq ft.